Atlas lab @ Reminders Photography Stronghold (Tokyo, Japan). 6-days intensive photobook making workshop, under the guidance of Yumi Goto (Reminders Photography Stronghold) and Alex Bocchetto (Akina books). 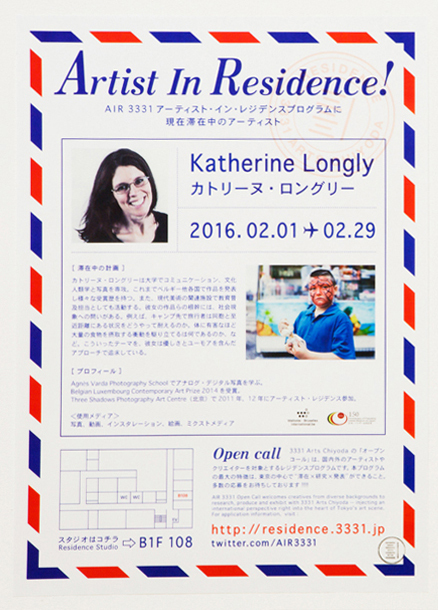 Two artist residencies at 3331 Arts Choyoda (Tokyo, Japan). To tell my real intentions, I want to eat only haze like a hermit : research about the relationship people have with food and bodies in Japanese society. Artist residency at Waterloo's Cultural Centre (Belgium). « What is your favorite place in Waterloo ? » : participatory project involving Waterloo's inhabitants, based on the conception of a subjective map of their city through a photographic exhibition. 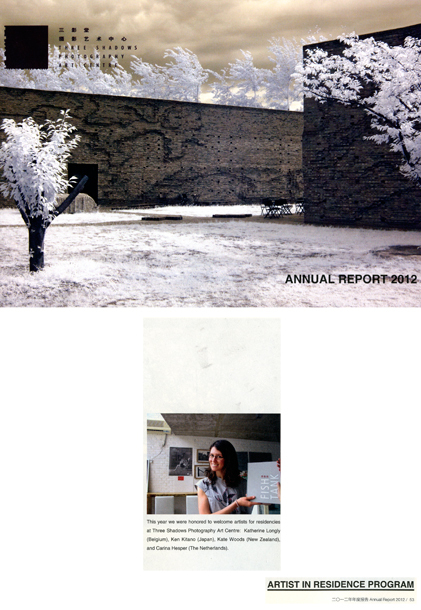 Two artist residencies at the Three Shadows Photography Art Centre (Beijing, China). Conception of Past Forward and Abroad is too Far series. Artist residency during Les Cyclopédies / Babelgique biennial exhibition in order to produce a new chapter of "the Zwanze your Way !" project in partnership with Mélanie Ferrier.